Bagna cauda (pronounced bahn-yah cow-dah) hails from the northern region of Piedmont in Italy and translates to “hot bath” which is fitting since it is Italy’s version of a warm dip. Oil, butter, anchovies, garlic, and lemon are combined to create a smooth dipping sauce that is often used for cooked vegetables and crudites. It’s always served warm and is consumed in a similar manner to fondue. Some variations involve cream, some play with the ratio of butter to oil, but I find that this recipe doesn’t overpower the flavor of the cauliflower yet the umami flavor of the anchovies still peeks through. This is a great alternative to the ubiquitous cream-based crudite dips and is sure to impress your guests! 1 head of cauliflower, outer leaves removed, stalk cut to about 1 inch, then cut the cauliflower in 6-8 wedges. Bring a large pot of salted water to a boil and cook the cauliflower wedges for about 3-4 minutes so that they are still crisp. Place in an ice bath to halt the cooking process and then pat them as dry as you can. The more dry they are the better they will get that golden color when you pan roast them. Heat up a large skillet (preferably cast iron) and coat with a couple teaspoons of olive oil. Once the pan is very hot, place your wedges down and let brown (about 5 minutes) and then flip and do the same for the other side. In a small saucepan, melt the butter. 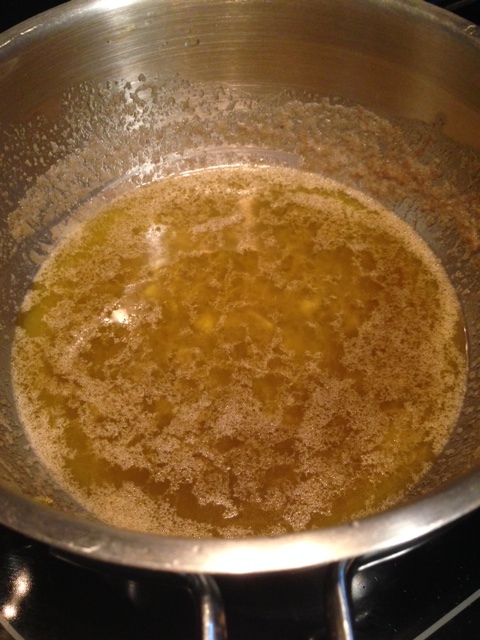 Then add the anchovies, garlic, and 1 teaspoon of the lemon zest. Let cook over medium heat and stir to dissolve the anchovies. Add the oil and stir to combine. Lower the heat and cook for about 10 minutes until the garlic is soft and the anchovies have melted/dissolved into the sauce. 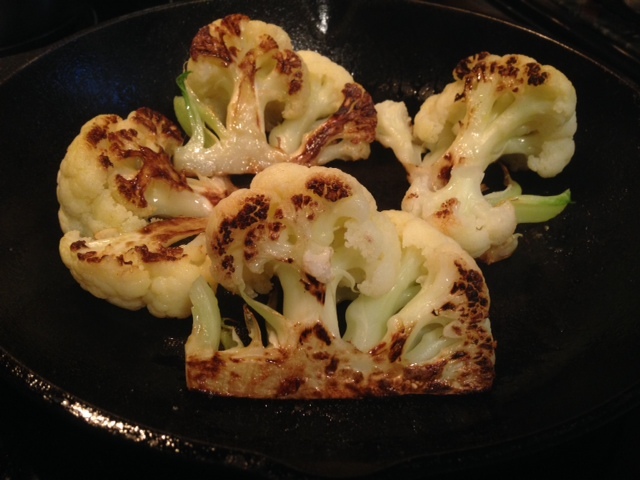 If you finish your sauce before the cauliflower are done make sure to keep it warm so it doesn’t congeal. 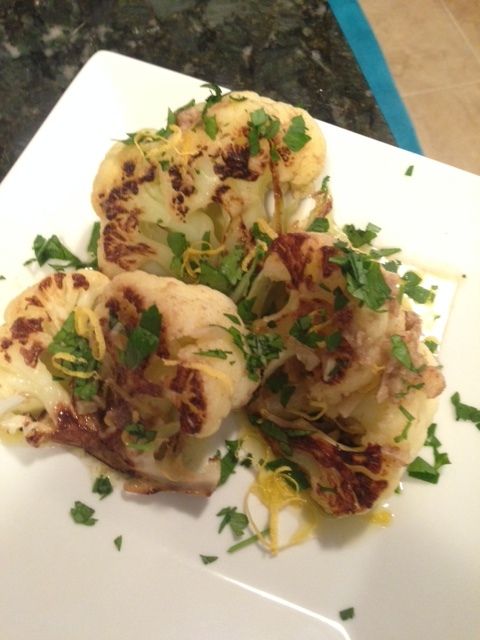 Plate the cauliflower, spoon some of the sauce on top, and garnish with the parsley and remaining lemon zest.